Why do people walk? What is it about walking? You mentioned earlier the immense history of the Camino. When you walk, how conscious are you of Christ’s involvement and the Christian involvement in that history? You talk in the guide about pilgrims carrying too much in their packs, and you say, ‘Generally we as humans carry too much stuff.’ How can a faith-based life ease that load? 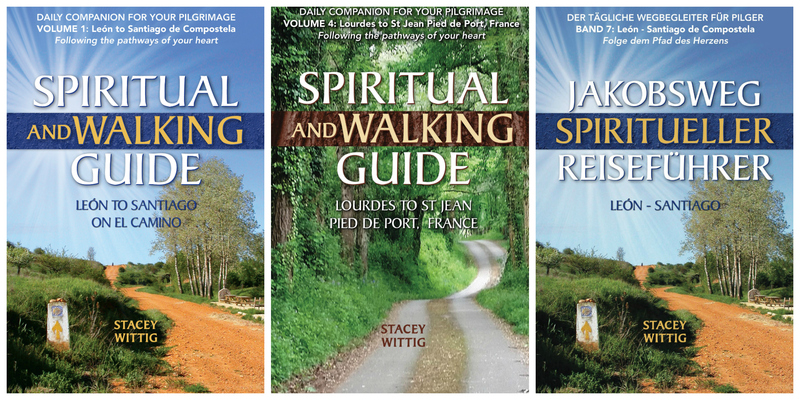 So you are inviting pilgrims, Stacey, to explore themselves, to learn more about themselves and to find themselves. Is that a fair assessment? You write about forgiveness and you say the Camino provides an opportunity for forgiveness. Can I ask you to elaborate on that just a little bit?